Looking for the 6 WEEK BODY MAKEOVER? 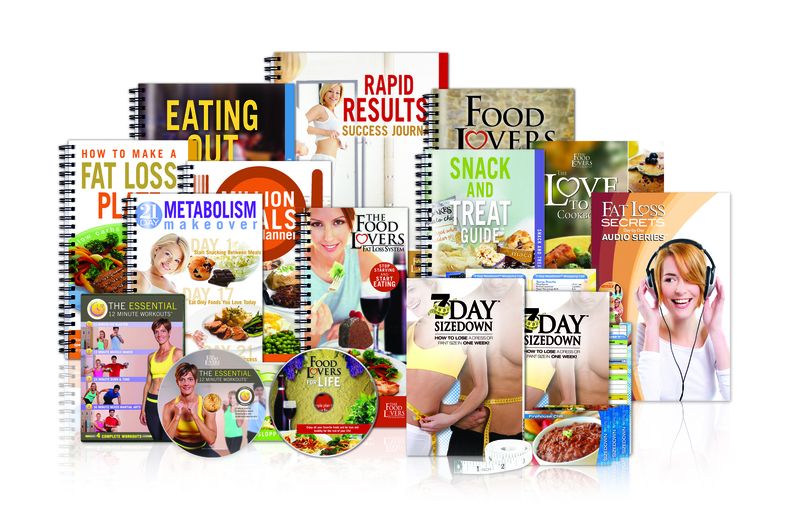 The Food Lovers Fat Loss System is the next generation of weight loss. Based on 15 years of research and nutritional science, it works by showing you how to eat your favorite foods in specific combinations that cause your body to burn fat instead of storing it. By doing just 1 new thing a day, the Food Lovers Fat Loss System will show you how to completely reset your metabolism in just 21 days. Thousands of satisfied customers have already lost weight and keep it off by following the simple, scientific guidelines of the Food Lover Fat Loss System. Jack R. Lost 82 lbs. "You can eat every food you love. You just have to eat in a certain way so you can keep your body's metabolism going"
42 waist to 34 waist!!!! "I lost 100 pounds, eating pastas, Alfredo, spaghetti, everything. I don't deprive myself in any way"
Kim L. Lost 63 lbs. Size 16 to Size 10!!!! "I eat whatever I want and ....I am never hungry"